Since our wedding has passed, I can say without a doubt that things have been pretty crazy with our lives and work and just everything in between. Sometimes, life just gets in the way! In this post I just wanted to update all of you on some of the cool stuff that I’ve made either at work or at home since my last post. Art Deco wedding cake I made at work. 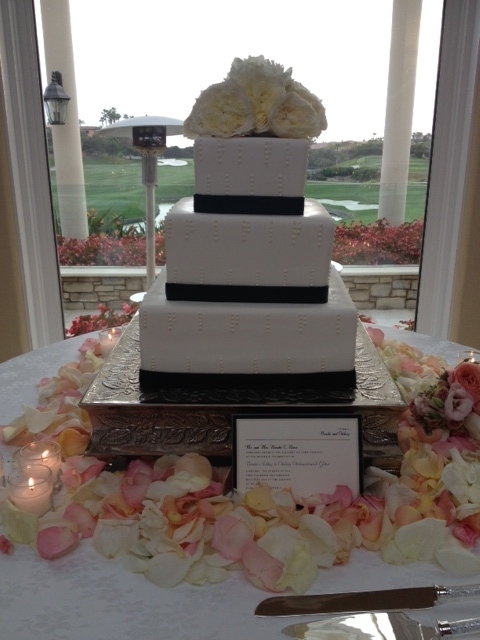 One of the first wedding cakes I’ve made there from start to finish! 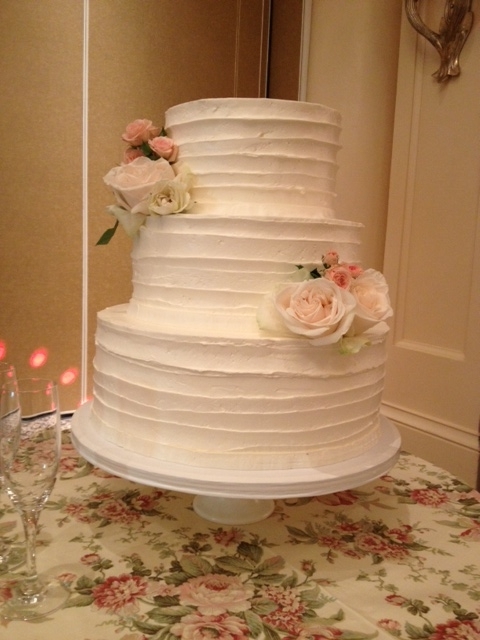 Rustic wedding cake I also made at work. Not gonna lie, I wanted to steal that tablecloth. It’s so pretty! 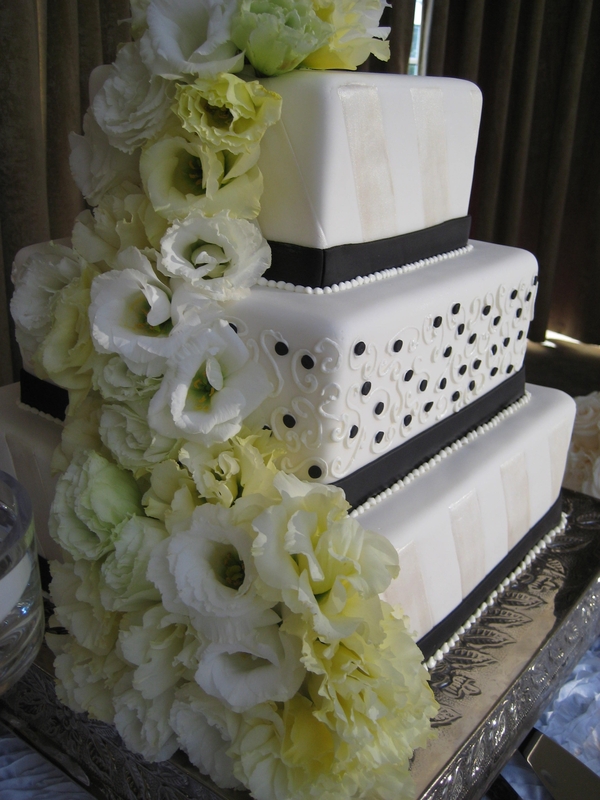 Another square wedding cake. Wish I had taken a pic of another angle of this one, but ahh well. Still pretty! 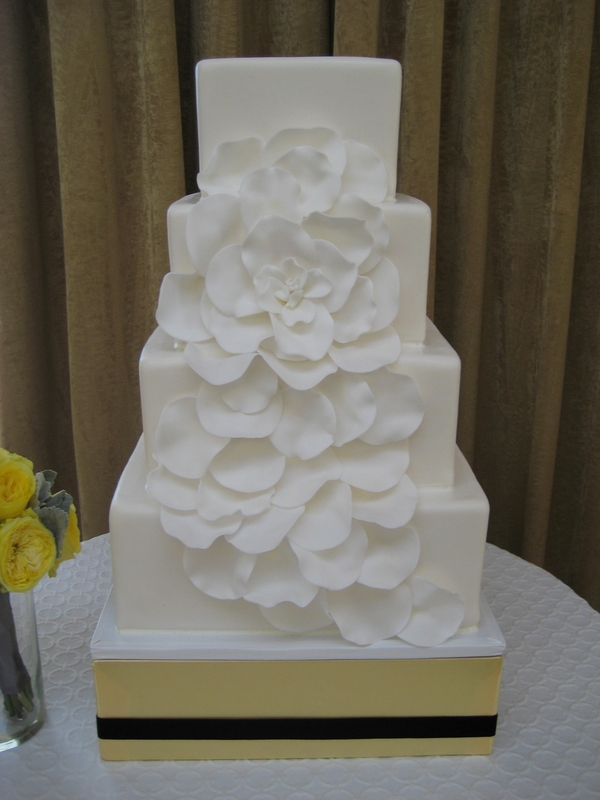 Rose petal wedding cake (with fondant petals). This one turned out to be way easier than I thought, and I love that it’s just pure white and clean-looking. 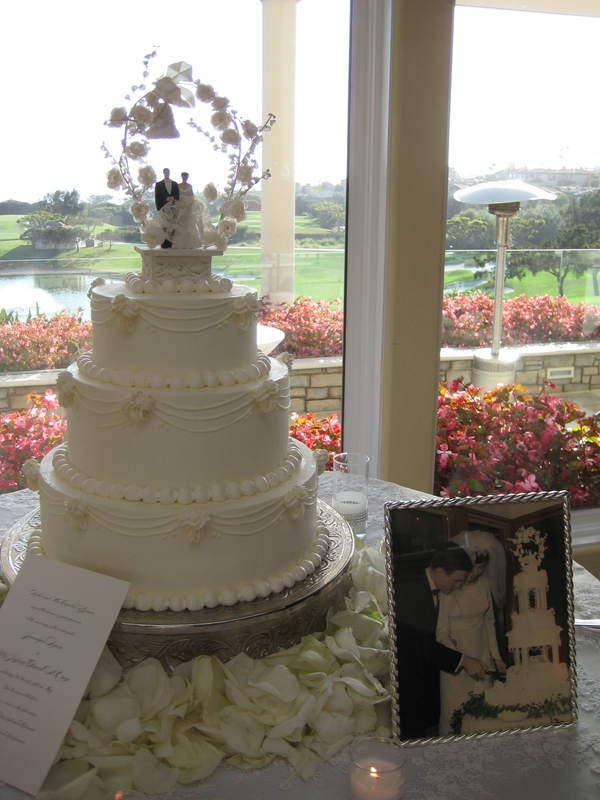 A very traditional-looking wedding cake. I thought this one would turn out looking really tacky, but I ended up liking it! 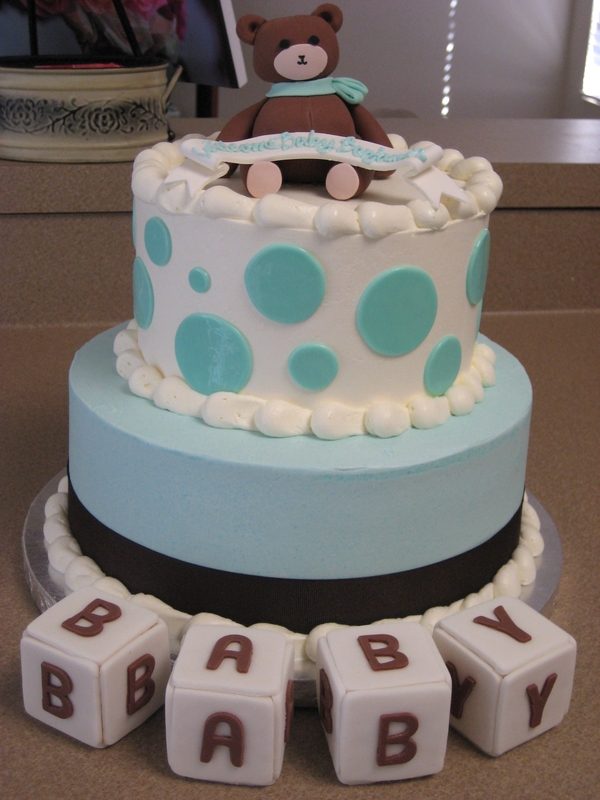 Finished this one at home yesterday: baby shower cake with a blue/brown/white color scheme. It has layers of red velvet, creme chantilly, and strawberries with italian buttercream. Anyway, I hope you all enjoyed my little picture-filled update today. There will be more posts in the near future with recipes and whatnot, so look forward to that! See you soon!